Shadow assassins kill everyone in their path. Always. A bloody attack leaves Adira as the first prisoner of Dominus Kage, the feared leader of the assassins. She doesn't know how long she has to live. Learning to fight as an assassin is her only chance, or she might become Kage's latest victim. But in a world where imperfections mean death, Adira hides a dangerous secret. 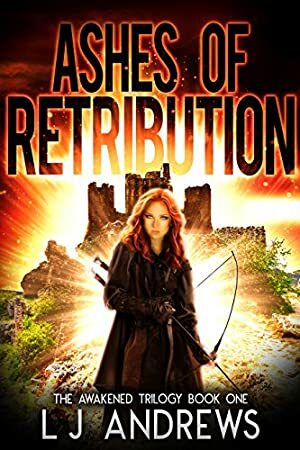 When the oppressive laws of the land seek to destroy the innocent, Adira will be forced to choose a side between the life she left, or the life of her enemies. But how can she trust Dominus Kage when all she knows are the brutal stories of his blood lust? What if the man who took her freedom is the only one who can save her life? Enter a richly woven dystopian fantasy, perfect for fans of Throne of Glass and The Hunger Games. One-Click to start turning pages now. Track It. This book reaches FREE about 4 times a year. Log In to track LJ Andrews on eReaderIQ. to be notified each time the price drops on any book by LJ Andrews. to stop tracking LJ Andrews. We started tracking this book on May 18, 2018. The price of this book has changed 19 times in the past 339 days. The current price of this book is $2.99 last checked 5 minutes ago. The lowest price to date was FREE last reached on March 7, 2019. The highest price to date was $3.99 last reached on February 20, 2019. We last verified the price of this book about 5 minutes ago. At that time, the price was $2.99. This price is subject to change. The price displayed on the Amazon.com website at the time of purchase is the price you will pay for this book. Please confirm the price before making any purchases.